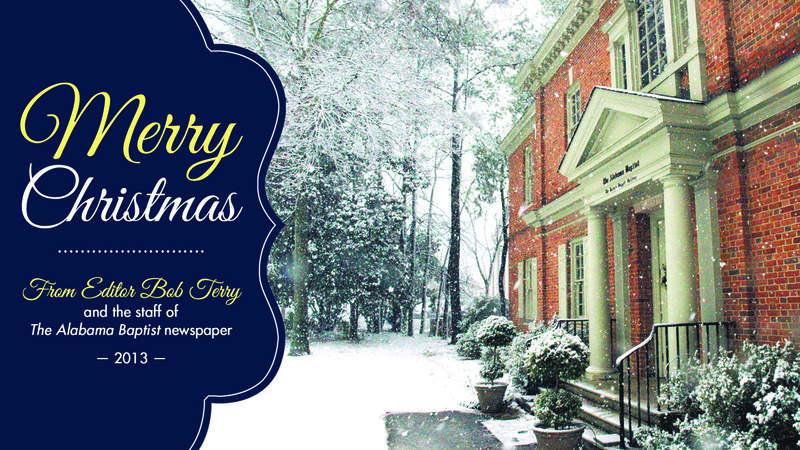 Editor Bob Terry and the staff of The Alabama Baptist wish you a very Merry Christmas! Please click here to view a Christmas greeting. This entry was posted in Home and tagged card, Christmas, Merry Christmas. Bookmark the permalink.